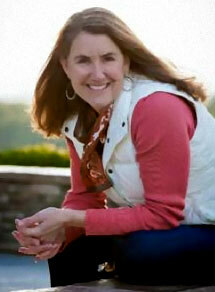 Christy Todd is the therapist for our Currahee Group of students and families at Cherokee Creek Boys School. Between 2004-2010, Christy worked at CCBS, while growing a private practice in the local community of Westminster, SC at the same time. We were extremely delighted when she returned to the CCBS family in 2013. Christy grew up in the Chattanooga area. She attended both Swansea University in Wales, UK, and the University of Tennessee in Knoxville. Upon completion of her Masters Degree in counseling from UT Knoxville, she became a counselor in a long-term residential therapeutic program. Since then, she has worked in a psychiatric hospital for addictions, led a day program for the chronically mentally ill, and directed a wilderness program for adjudicated youth. Christy strongly believes in the practice of service to fulfill one’s self spiritually. She created a local coalition to improve the wellness of our local community by securing a grant to create walking trails. She also serves as a search committee member and an elder at her home church, is on the Westminster Chamber of Commerce Board, and acts as Chair of the School Improvement Committee at her childrens’ school, West Oak Middle School. In her free time Christy enjoys paddling lakes and rivers in the summertime with her kids, hiking in the snow in the winter, and attempting to surf whenever she’s at the beach. Christy and her husband live in Westminster with their two middle school children.